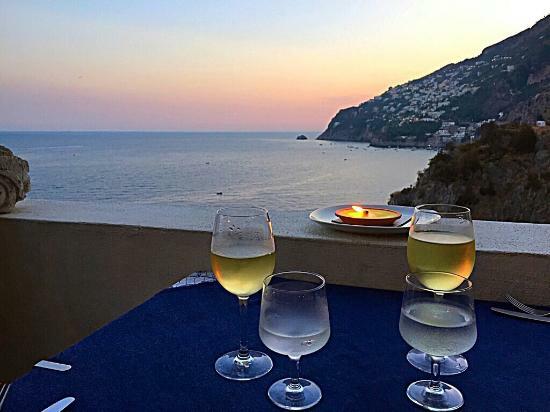 You are looking for the best restaurants on Amalfi Coast with view on the sea? 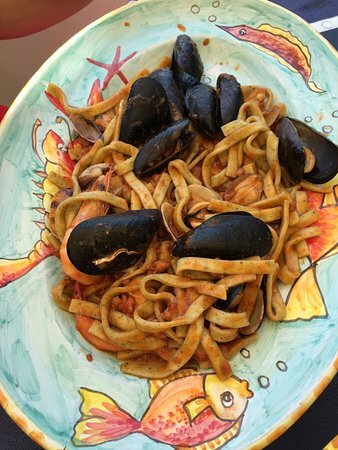 The unforgettable taste of the best Amalfi Coast menu at the fresh fish restaurant La Locanda del Fiordo! Imagine your dinners at sunset, on the sea, on full moon evenings, on delicious lunches after a day on the beach, at breakfast in the beautiful lights of the morning. 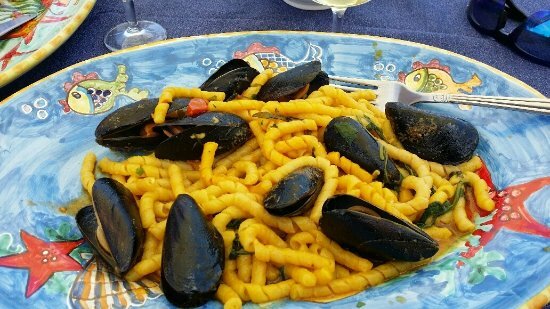 You’ll find the best and delicious Mediterranean cuisine with view on the sea, in the best restaurants on Amalfi Coast to delight your palate and capture your senses. Book your stay at La Locanda del Fiordo. Find out more about our service and our Special Offer. The Restaurant La Locanda del Fiordo, in the best hotel on the Amalfi Coast, gives you his welcome in its terrace with view on the sea, halfway between Amalfi and Positano, with free private parking. A beautiful location in which to spend the most beautiful moments of your day, a holiday or a simple stop, entranced by the beauty and uniqueness of this place. The Restaurant La Locanda del Fiordo is located in Furore, Italy. We offer free private parking and free Wi-Fi. 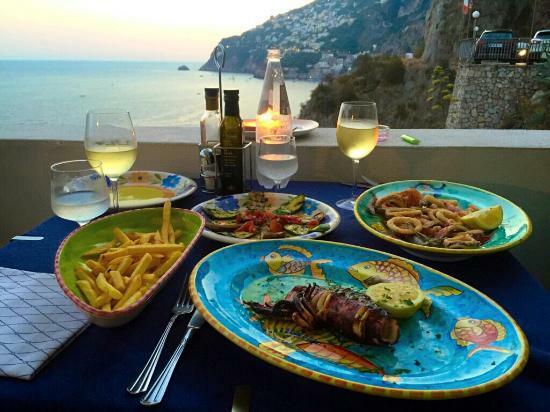 • fresh grilled fish and many other tasty dishes of the Amalfi Coast tradition. Surrounded by the sea, near the romantic beach of Furore, our restaurant offers the best menu of the traditional Amalfi Coast cuisine! For our guests who will love to stay at the La Locanda del Fiordo Hotel, we welcome you in our comfortable rooms, with magnificent terraces and balconies overlooking the sea, a solarium area equipped with swimming pool and whirlpool, and the descent to our private cliff. For a pleasant tasty break on the Amalfi Coast, Risto Snack Bar at La Locanda del Fiordo, Furore: your dream venue on the sea! Your stop at the panoramic terrace of our restaurant La Locanda del Fiordo, overlooking the sea of the Amalfi Coast, will give you the best experience of vacation. Tasty and fresh snacks made with genuine and delicious ingredients, refreshing beverages to enjoy surrounded by a breathtaking scenery. A break of taste and relaxation, surrounded by the Mediterranean nature and by the scents of the Amalfi Coast, caressed by the sea breeze. Our history: why La Locanda del Fiordo is one of the best restaurants on the Amalfi Coast? All our dishes are served with extra virgin olive oil. The salads, the carpaccio, the fried fish are flavored with the juice of the wonderful lemons of the Amalfi Coast. As well as traditional pastry desserts and liqueurs. 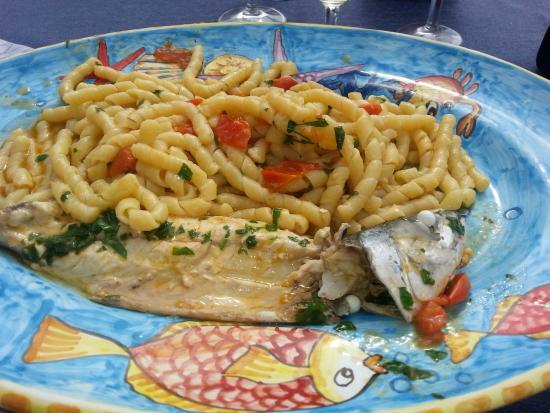 The fish, fresh and tasty, triumphs on the tables, cooked with taste and respect for the product and Amalfi Coast culture. In the preparation of our menu we put all our efforts and the passion is to give you the best restaurant service. 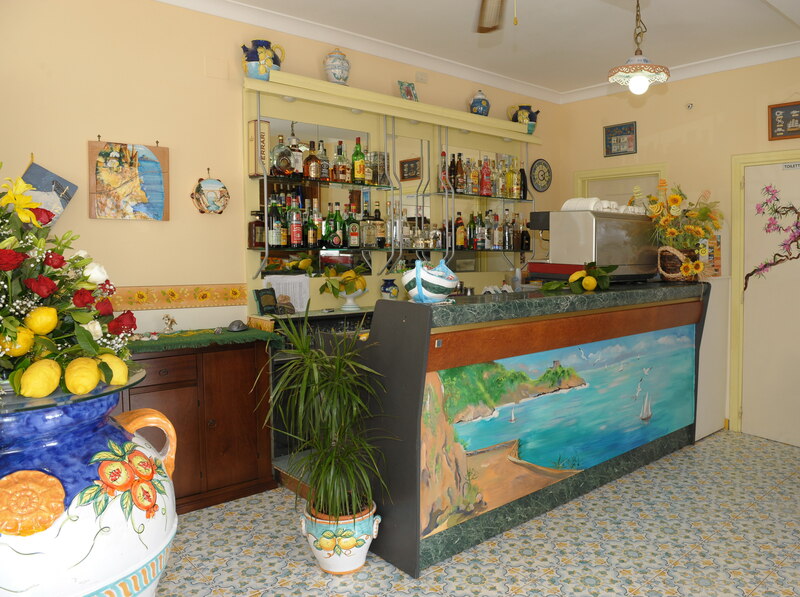 La Locanda del Fiordo: in a corner of paradise on the Amalfi Coast, you’ll find the best Restaurant and Bar! Our tasty dishes based on fresh fish, delicious compositions served in fine ceramics dishes from Vietri, surrounded by a landscape of dreams, the sea of the Amalfi Coast. La Locanda del Fiordo, Snack Bar, Restaurant and Hotel, welcomes you on the enchanting panorama of Furore, facing the immensity of the sea of the Amalfi Coast with view on the beautiful Praiano. Stop by us to enjoy our tasty breakfasts, for a coffee or for a snack or a quick lunch. You'll love this fabulous place and we will wait for you, with our usual hospitality, to spend a pleasant stay, a sensational weekend, a romantic dinner by candlelight on our terrace overlooking the sea. At our restaurant you can taste, for lunch and dinner, all the best fresh fish specialties of the culinary tradition of the Amalfi Coast. The sea view rooms of our hotel La Locanda del Fiordo, unique to their particular characteristics, equipped with all amenities and services, will be the backdrop to the wonderful and relaxing stay of our guests, giving an unforgettable vacation.